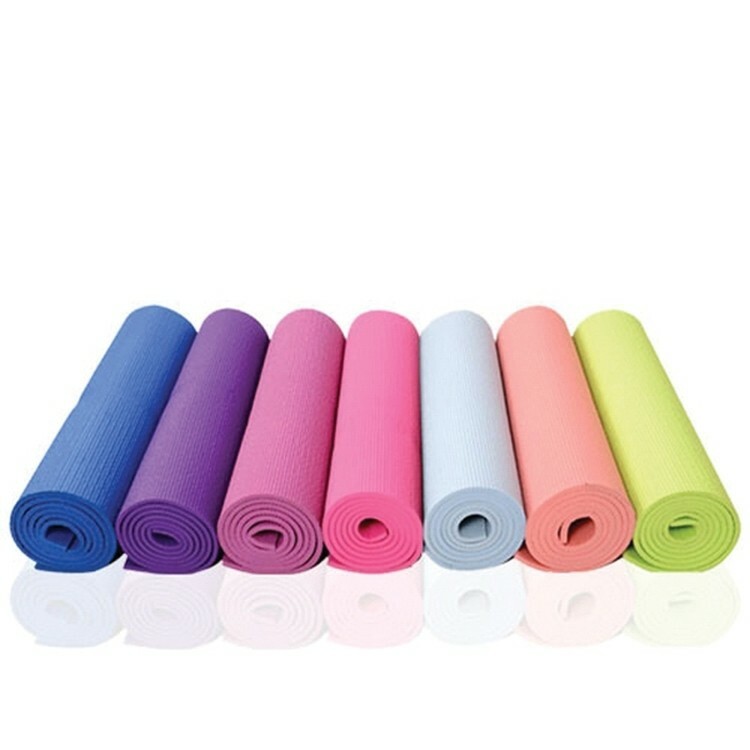 Yoga Mat made of good PVC, soft and safe for gym. It is good elastricity for sports to avoid hurts from floor. Logo can be printed on mat. 68 " X 24 " X 1/5 "